One hundred years ago, on 11 November 1918, the guns of the Western Front ceased firing after four years of continuous warfare. German leaders accepted an Armistice, effectively bringing the First World War to an end. To mark the centenary of this historical anniversary that shaped Australia and the world, a series of public events and activities will be held as part of the Memorial’s Honour Their Spirit commemorations. A display of 62,000 handcrafted red poppies on the Memorial’s grounds forms the centrepiece of commemorations, representing Australian lives lost in the First World War. 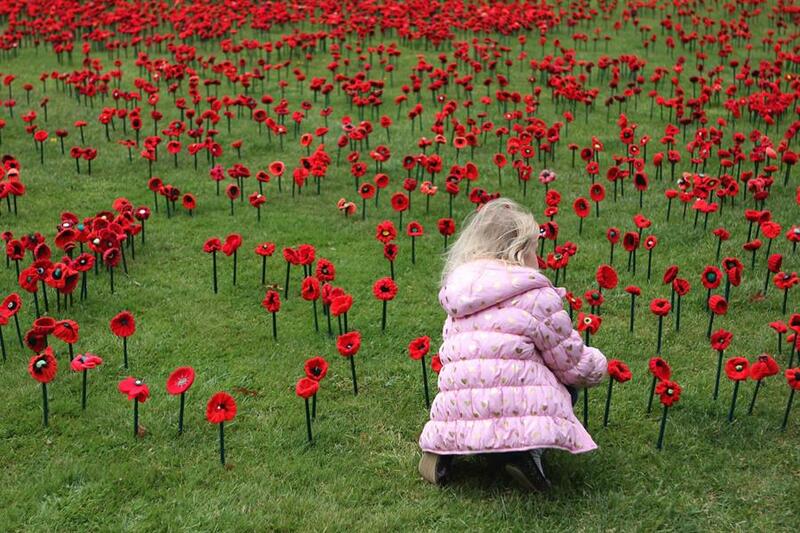 Sunday 11 November 2018 marks the 100th anniversary of the Armistice which ended the First World War. To commemorate this milestone the Remembrance Day National Ceremony will begin at 10.30 am on the Memorial’s Parade Grounds. The ceremony includes a formal wreathlaying, and Australia’s Federation Guard and the Band of the Royal Military College, Duntroon, will be on parade. Free tickets for the Remembrance Day National Ceremony can be booked online via the TryBooking event page. More information on the ceremony can be found on our website. A remarkable publication detailing the first-hand accounts of Australia’s official First World War correspondent, Charles Bean, was launched at the Australian War Memorial by the Honourable Michael McCormack, Deputy Prime Minister of Australia, on Wednesday 3 October. 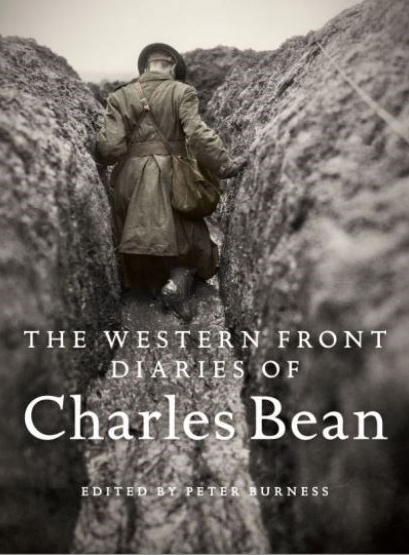 Edited by esteemed historian, curator, and inaugural Fellow of the Memorial, Peter Burness AM, and accompanied by more than 500 photographs, sketches, and maps, The Western Front diaries of Charles Bean are now available in print for the first time. 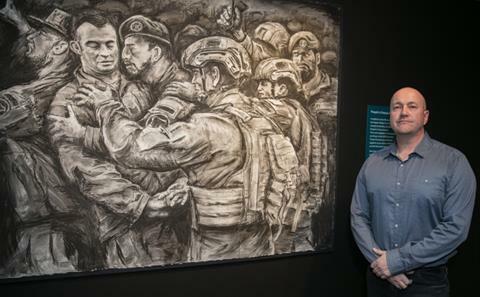 The Australian War Memorial is pleased to announce Rob Douma as the winner of the inaugural Napier Waller Art Prize. Rob Douma’s moving piece Green on Blue: the betrayal of trust highlights an incident in 2011, in Kandahar province, Afghanistan, where an Afghan National Army soldier fired on the Australians mentoring him, killing three soldiers and an interpreter and wounding nine more. You can still cast your vote in the Napier Waller Art Prize People’s Choice Award. Wartime is a must-read for anyone with an interest in military history. 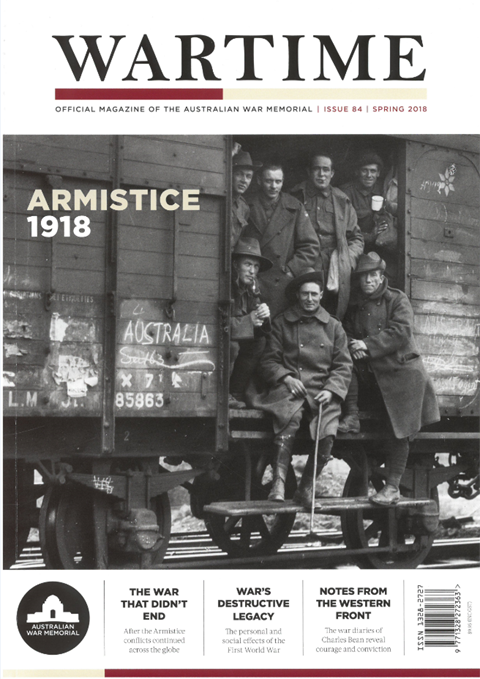 Now in its 21st year, the magazine features articles by internationally renowned historians that place the Australian experience of war in a global context. 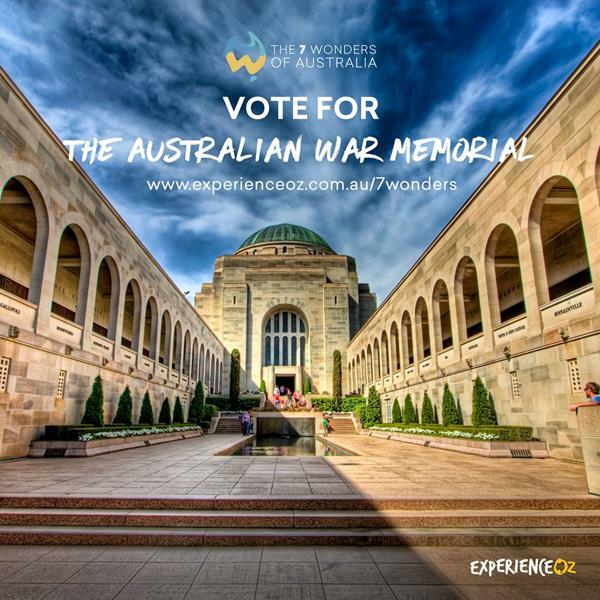 The Memorial has been shortlisted in the first-ever nationwide vote to determine the 7 Wonders of Australia. You are invited to participate by voting below. When Phillip Johnson began “planting” 62,000 poppies at the Australian War Memorial, he was thinking of his great-grandfather, Frederick Richard Johnson. 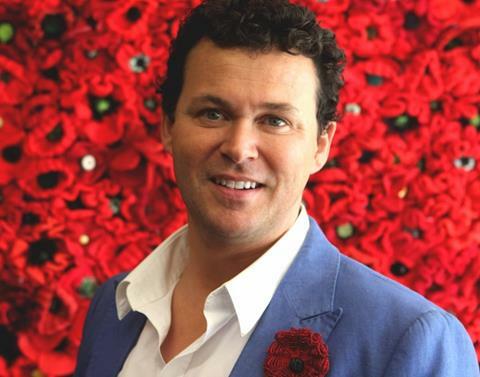 Phillip is the award-winning landscape designer behind the 5,000 Poppies project, and his great-grandfather was one of the thousands of Australians who died during the First World War. Phillip and an army of volunteers transformed 4,000 square metres of the Memorial’s grounds into a field of red as part of the Memorial’s five-week commemorative program marking the centenary of the Armistice that ended the First World War. The 62,000 knitted and crotched poppies began installation on 29 September – the same day Phillip’s great-grandfather was mortally wounded 100 years ago. “I Am Invictus”, the official song of the Invictus Games Sydney 2018, has been launched. Featuring Australian country music legend Lee Kernaghan, the single was written by Lee, Garth Porter, and Colin Buchanan; and is available as a digital download now from all major distributors.